It can be simple updates that can be far reaching sometimes. We see a lot of big enhancements rolling out with apps we have been using a long time. Some apps that have become a cornerstone just get minor tweaks but they make a huge difference. 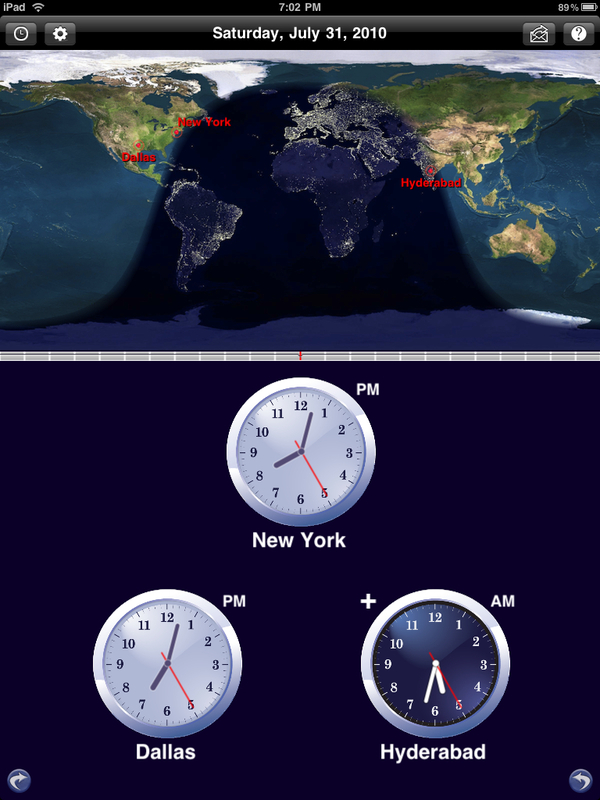 The World Clock recently received a bit of polish, one that seemed so simple it was silly but reading your clocks have become much easier when doing a quick glance. It was just a frame around the clocks. Of course there are many other updated items in this release but it was nice to see developers taking the time to tweak and tune rather than always throwing feature lists at their apps. 1. Option for digital clocks with 12/24 hour time format support. 2. The maximal number of clocks increased to 24. 4. Options to change the clock face color. 5. Options to display additional info along the time. Another fine tweak that we are enjoying is the NetFlix app. 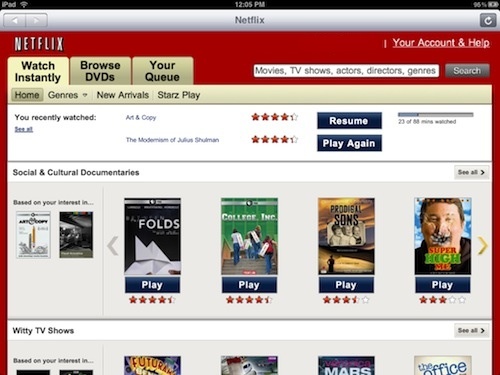 We would love to see the numbers for NetFlix streaming movies before/after the iPad was released. Most of us here never concidered taking the plunge to hook it up to our home TVs, but now having so many movies and TV shows anytime through the apps and our iPads we hit it a lot.